Client: Jim & Frances S.
This rustic cabin located on the beautiful Lake Martin in Alexander City Alabama was built in the 1950's by Roy Latimer. The cabin was one of the first 3 to be built on the lake and offers amazing views overlooking one of the largest lakes in Alabama. 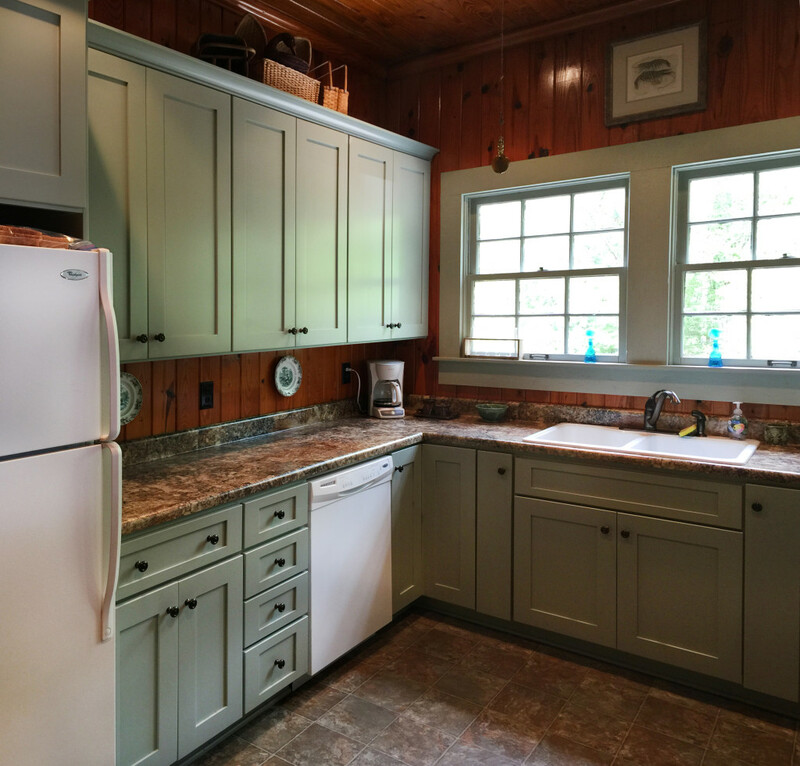 The cabin's latest renovation was to the quaint little kitchen. 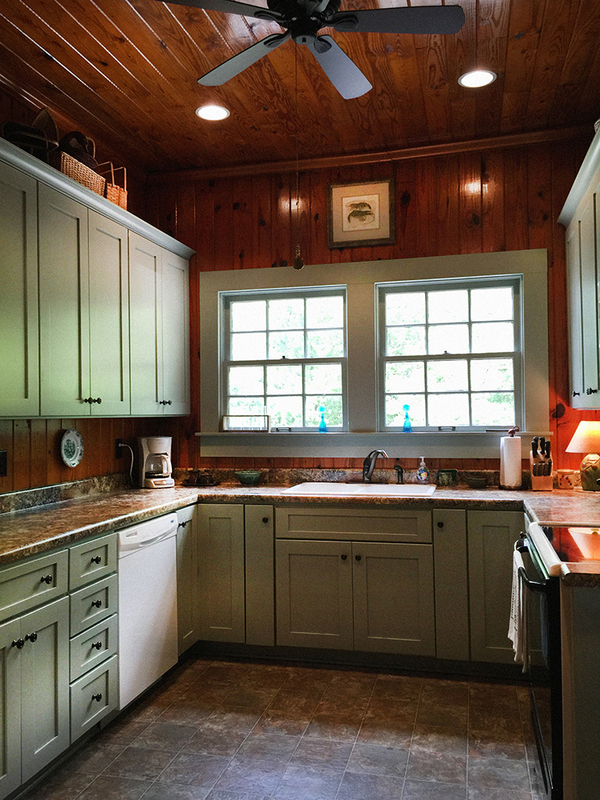 The new tall cabinets with an elegant green play off the colors of the heart pine walls and ceiling. If you could only see the view from this kitchen window!